This is a somewhat shameless use of this website, but hell, it’s mine, so why not? For forty-three years I have been churning out writing of every known sort: plays, arts criticism, journalism, fiction, non-fiction, children’s fiction, poetry, song-lyrics and librettos. Yes, the odd book has been published, the odd play put on and the odd kind word received, but essentially I’ve been banging a rather fragile head against a very unforgiving wall for over four decades. Then came July 26, 2017. It began with rock-solid confirmation that Scena Theatre’s production of my play Guilt opens at the Atlas Performing Arts Centre in Washington DC on January 8, 2018, directed by Robert McNamara. 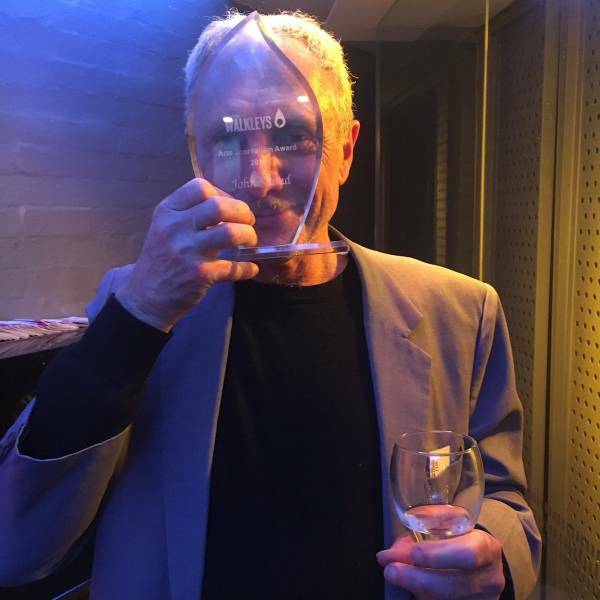 Then at the other end of the day I won the inaugural Arts Journalism Award at the mid-year Walkleys. So many times across those 43 years I’ve been close to giving it away in favour of I don’t know what. Yesterday the countless decisions to keep plugging away (because what choice did I have?) were vindicated. The piece for which I won the Walkley can be found here: http://www.johnshand.com.au/meaning-it-truth-trump-universality-and-cultural-amnesia/. I heartily thank Frankie Lee, John Wardle and Brendan Gallagher, who run the Jackie Orszaczky Music Lecture, for inviting me to deliver the 2017 edition. And thank you for your indulgence.